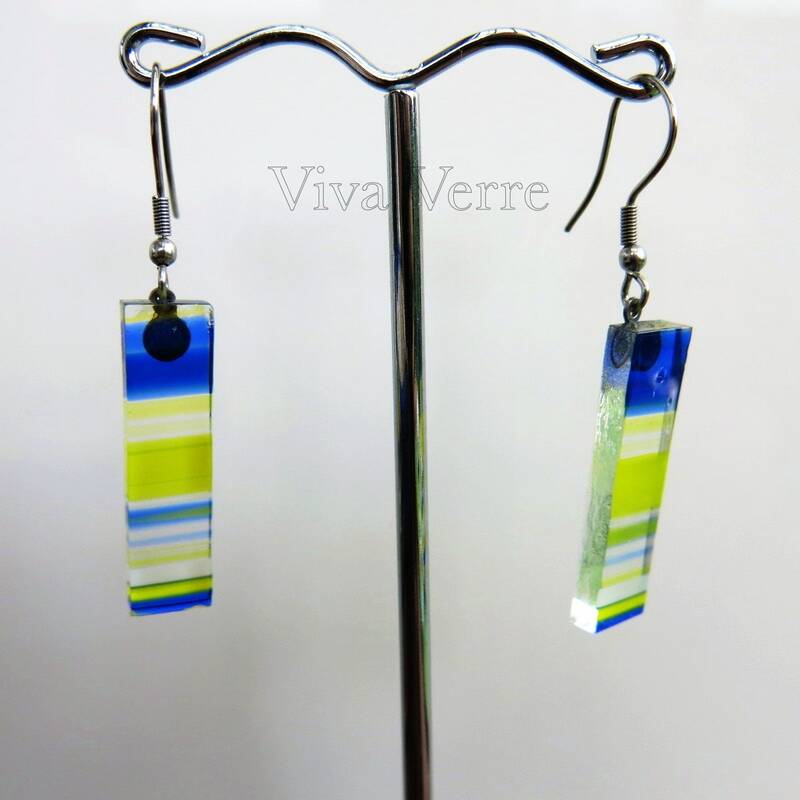 Glass fusion, stainless steel hook earrings hypoallergenic. 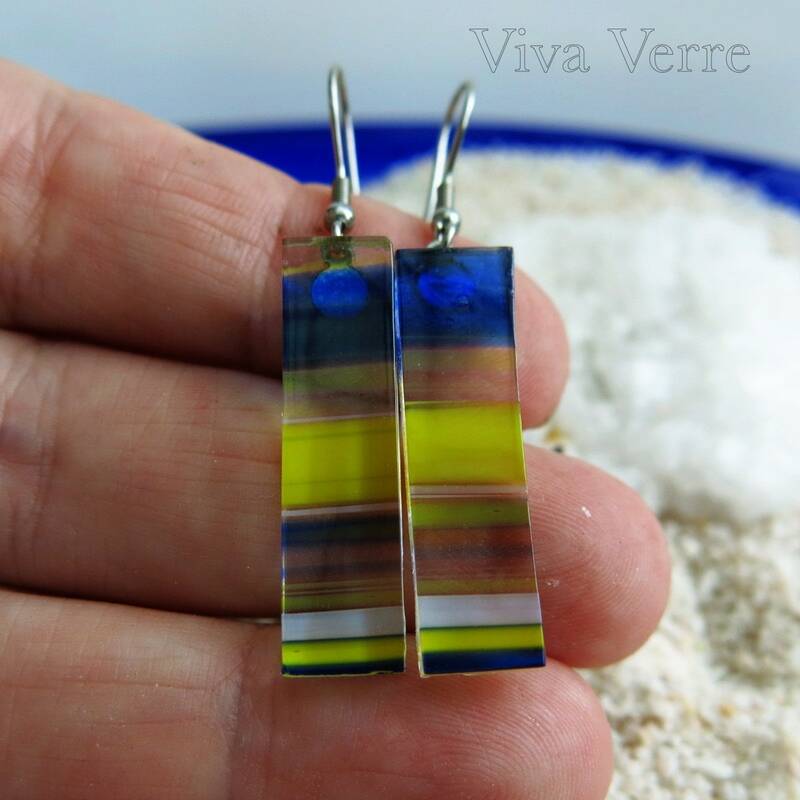 Fused glass rectangular earrings. 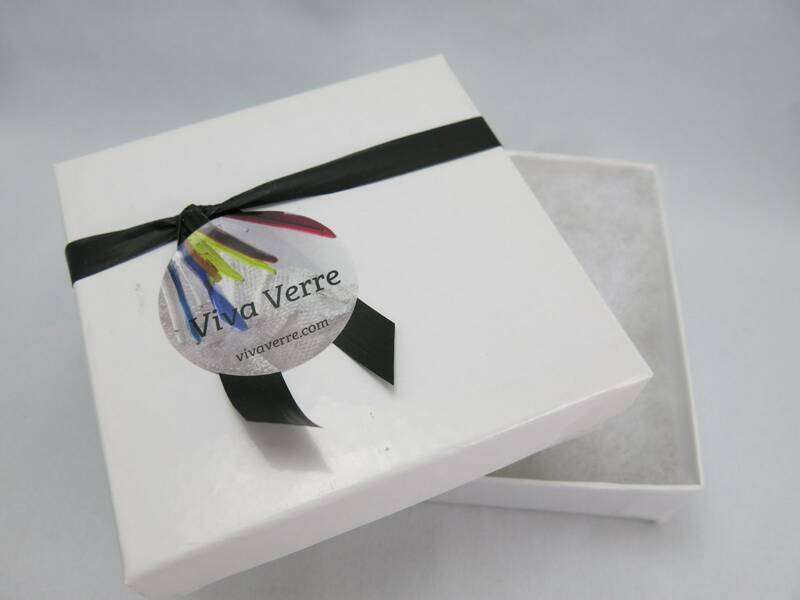 games of colors and transparency gives a certain lightness and noderniste. 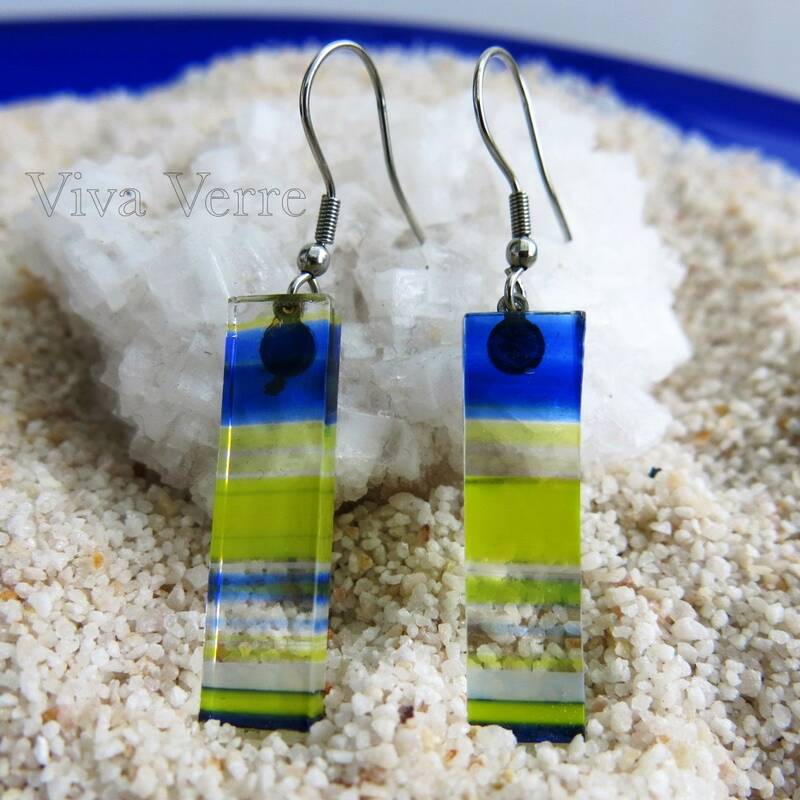 The stems and the earrings hooks are surgical steel so they will stay beautiful and won't cause an allergic reaction! 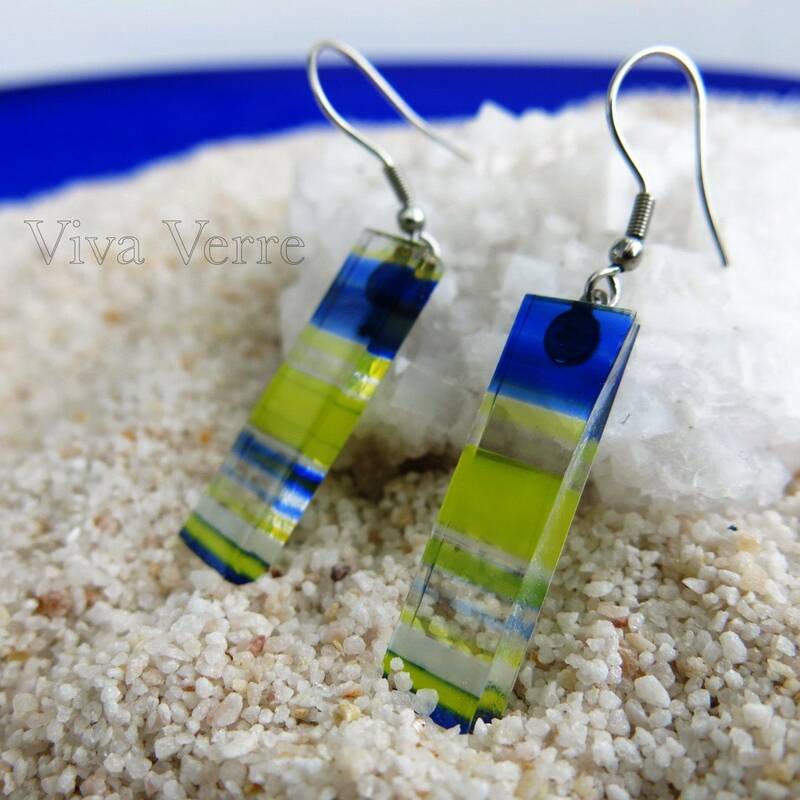 A small plastic is provided for each earring so they won't slip. 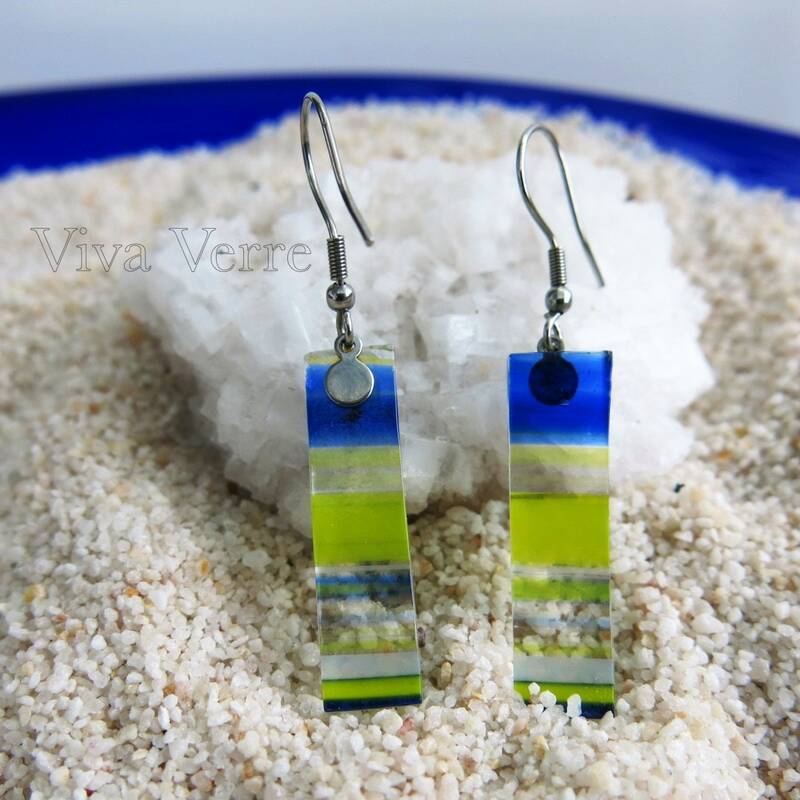 Handmade in my glass Studio. Designed and created by me in my Studio in Montreal.